I saw the economy change three decades ago. many seem to have forgotten, so let us remember. there were family hardware stores. there were sporting goods galore. all family owned and operated. not in factories, where humanity is separated. commercials would have you believe in big box stores. that their prices help the average family. that they give jobs to the poor. that one can find a career or even more. this was the promise of cheap labor. which betrayed the mom and pop stores for a top few. who were sacrificed for me and you. 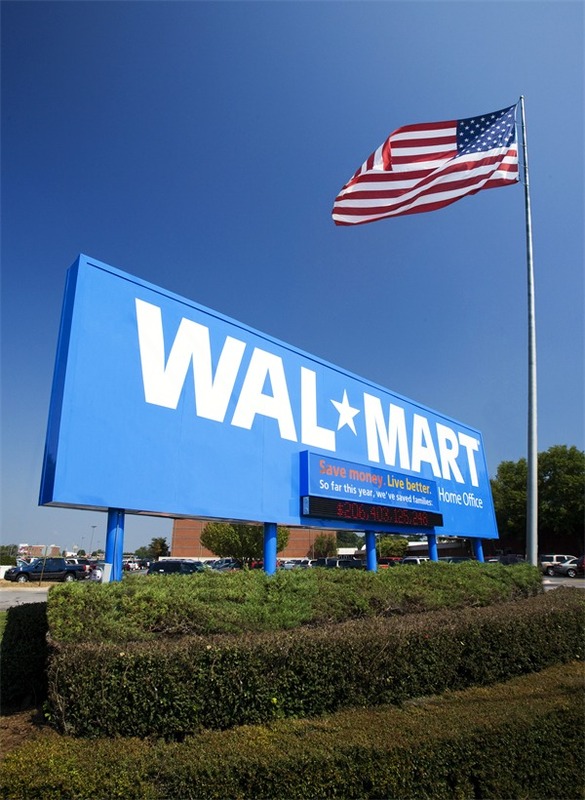 forced to work with Wal-Mart or face the economic gun. to buy more redbox and Netflix and X-box. let us not get upset when it all comes toppling down. the value we so easily traded away. so we could have the cheapest price today. we dismissed the power of the consumer, for in God we did trust. for not caring about our future. How complicit do you think we are, as “middle class” America, in the failure of our economy and the extinction of true value in our society as you describe it? Do you think that any one of us, as an individual or family unit, or even a community-could have done anything to change the degenerative process that has been going on for the last 100 years? At what point does each person become personally responsible for their behavior as consumers? Are our parents responsible for initiating this trend? Our grandparents? Where did the breakdown start? Where did the system fail-or-was it destined to fail? I think it is so important that each of us explore these questions for ourselves and together, figure out what happened, and create a new paradigm. Have been away for a while, new work, lots of life changes and job changes. Good ones though. Interesting peice, I agree with much of what you say and miss the older independent stores. Especially restuarants. The mom and pop places is where you get the BEST food. I understand the Wal-Mart culture we have developed out of need for cheaper and more effecient lifestyles, but at what cost to our culture and individuality? It is one of the big reasons I have hestitated opening my own business due to the overwhelming culture like this. I do PC repairs for elderly and low income people. I charge low prices and try to be fair about what the cost will be. Thought of making it a business but….well as I said still wary of that leap. Anyway hope you and yours are well. Peace. good to hear from you both and thanks for the kind words. glad things are going well for you Greg. really nice to hear good news. Angie, you bring up some wonderful questions. how long has this been happening. Did it start with Ford? Did it start with the evolution of large-scale manufacturing. Was it the model T that was the root cause? Will we ever know? I am becoming more responsible and will no longer shop at Wal-Mart, eat meat or dairy and do not drive a car. These are all small choices but they make me feel as if I am at least responsible for my own choices. I suppose, the paradigm change starts with each individual but it has been proven that some events can be so traumatic that they can change an individuals DNA. Maybe we are need in such an event. What say you? I applaud your efforts Byron, unfortunately I am unable to do these things. My weakness is I love a good steak. All the mom/pop grocery stores are gone, now we are left with Publix, Food Lion, Winn Dixie, Rowe’s. All franchises and big name retailers. When you have no choice what do you choose? The reason I pose those questions Byron, is that I struggle to answer them myself. I join Greg in commending you on your efforts, and in his feeling that we have not been left a lot of choice. My conspiracy theorizing all came to fruition in the reading of several detailed timelines of the Rothschild’s and the 13 families which run the world. There is not one single thing in the western WORLD today or in the last 100 years: the price of milk, development of technology, wars, assasinations, and the holocaust all included that did not stem from the oil driven greed of the illuminati families. Generation after generation has honestly, as a culture, not known any better. Those who did, have never had any chance to make a real difference. It has been the ultimate century long mass mindfuck! I am pretty sure that as a culture, we are seriously waking up to what is going on, more and more of us everyday, but until this system fails completely, mass change just isn’t going to happen I’m afraid. Where I live, there is no where to get fresh vegetables, or even wholesome ingredients, not to mention products. One little aisle at the grocery store, and even those are disappearing in the wake of super walmarts and other mega stores. There are a couple whole foods stores, accessible by freeway, but as far as local neighborhood access to any type of organic or raw foods, none. At least not in the majority of the neighborhoods. As further proof that people should not even be living in this god forsaken desert, is the fact that without freight, we would cease to exist. Nothing is produced or grown here, but theres a million and a half people and a quickly receding lake, what now? the bounds of that apathy have become blurred. We as americans have not been responsible for getting to this point, but now we know. So how do we proceed, it is not a light question, and one that weighs on me more heavily every day, as apparently it does on you as well Byron. Me too. I’m not sure if there are any specific answers to your questions. It has just be a gradual degradation of a system that might have worked at one point or another. Maybe it never did. We have always looked to make life easier. With that being the goal of our culture and species we have cut a lot of corners and hurt a people. Hurt our environment and other species. It has been moving this direction since we invented fire. Maybe? Sorry to hear you can’t find good veggies, etc. where you live. Whole Foods is a great asset to have. I just try to think of eating as many veggies as I can. Even if they are filled with pesticides they are better off than the quality of the meat that I would eat, the way the animals were treated and what the meat industry does to the environment as far as carbon footprint. I appreciate your support. Thanks Greg and Angie. It is so nice to know that the two of you are out there. Just having these conversations is a good start. I feel your frustration. Greg, eating meat is a choice. You can gradually wean yourself off of it if you choose to do so. It’s not as hard as you might think. It helps with other choices as well. Changing ones diet I have found is a basis for all other life choices. I no longer have urges to do bad things to my body because I am eating correctly. I no longer have urges for cola or beer or even candy. It’s as if the body decides to turn those urges off because it doesn’t want to poison itself anymore. It’s not even a mental choice anymore. I think you can definitely make your stand and refuse to shop at these big superstores, purify your body by eating only what’s good for you, and I completely agree with all of this. At the moment though, there definitely aren’t enough people that feel the same to the extent that they’ll take action. We’re going to be stuck with these franchises and supermarkets- and in some ways they do have some good. They provide us with more choice (as soon as I wrote this I asked myself ‘but how much choice do we actually NEED?’)and as our population has grown it has helped to keep up with this. As small towns get bigger, small shops might not have been able to keep up with increasing demand. My dad was a dairy farmer, until he could no longer manage anymore due to big supermarkets like Tesco not paying him enough for the milk. The Duchy (who work for the Queen), owned the farm outright, and demanded that my dad find other means of making profit- so he set up stables for people to keep their horses and learn to ride. This worked, but the Duchy wanted to turn the farm and the surrounding land into a road, and they gave him some money to leave and find a new home. England is well on it’s way to being just like America; I’d say we’re almost there even! I’m sorry to hear you father’s story. Thank you for sharing it. It’s interesting to me as an American to learn that in the U.K. urban sprawl and its choices are enforced in some part, by allegiance to the Queen. I’m glad you got to learn how to ride. I suppose there was a positive that came out of this. As to how many choices we need, that is a good question. I have heard from studies that the overabundance of choices we have to make on a daily basis has become quite crippling for us. I know I for one enjoy a menu with only a handful of choices. That we are actually paralyzed by choice and that an overabundance of choice is a recipe for misery and disaster.